than London-based Arsenal if controlling share holder Stan Kroenke declines to offer. 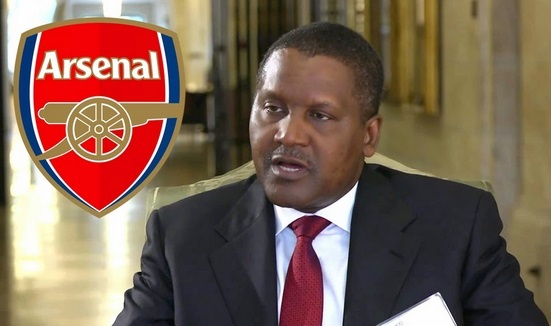 Dangote has long said he needs to purchase the Premier League group, of which he's a fan,but only after he’s completed one of the world’s biggest oil refineries in Lagos, Nigeria. Also on his to-do list: The investment of billions of dollars in sugar, rice and dairy production in the West African nation and the sale of shares of his cement company in London.